Rogers Hometown Hockey is coming to Oshawa City Hall over the holidays. The free hockey festival will wrap around City Hall, the McLaughlin Branch of the Oshawa Public Libraries and The Robert McLaughlin Gallery (RMG). The Rogers Hometown Hockey crew will roll into Oshawa on Tuesday, December 22 to set up for the event. As a result, parking restrictions and road closures will be in effect. Road closure: Bagot Street, from Centre Street to Queen Street will be closed. 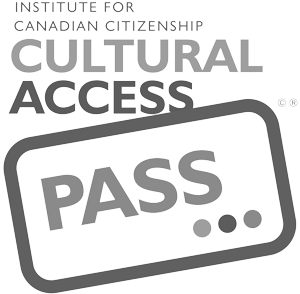 Parking access: To access public or employee parking, use John Street (enter via the Durham Continuing Education – E.A. Lovell school). There will be no through-traffic from Bagot or Queen Streets. 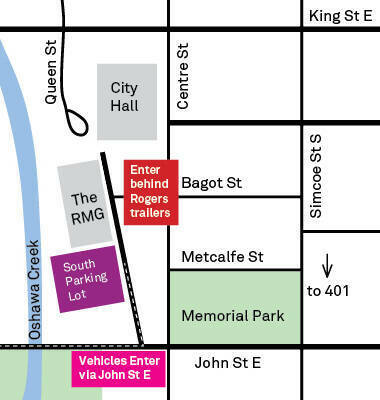 On-street parking spaces: on Bagot Street, from Centre Street to Queen Street (in front of the OPL, the RMG and City Hall entrance) will not be available. Public and employee parking: will be available in Lot 50 behind The RMG (enter from John Street). Overflow Parking: will be available at the Durham Continuing Education – E.A. Lovell school (enter from John Street). Thank you for your patience regarding these parking interruptions. For more information on the Rogers Hometown Hockey festivities (December 26 & 27), visit www.oshawa.ca/RHH.